How I’m Beating Arthritis with Food-as-Medicine (2): What I would have said to my younger self! Sadly, my younger self wasn’t able to piece together the complex medical and research jigsaw on arthritis and psoriasis that convinced me that food-as-medicine was the ONLY way of truly healing myself from a progressive autoimmune disease – psoriatic arthritis. IN THE FIRST POST in this series I shared how good it felt to know I was healing my psoriatic arthritis with food-and-lifestyle changes and I described how I pieced together the jigsaw that is autoimmune disease. IN THIS POST I’ll share my ‘healing-with-food prescription’ and how traditional foods are essential to this prescription. As you read further, please, please bear in mind anyone who may also benefit and share this with them. IN THE FINAL POST in this series, I’ll tell you about the lifestyle changes that are helping me in beating arthritis. There are many different approaches to ‘healing with food’: Specific Carbohydrate Diet (SCD); Gut & Psychology Syndrome (GAPS); Weston A Price Foundation (WAPF); Paleo, Autoimmune Protocol (AP); Auto Immune Paleo (AIP); Metabolically Supportive Diet; Ayurvedic Diet. Our genes load the gun, but our environment pulls the trigger. Fundamentally, our it’s our metabolism (I call it our ‘femergy’ – the result of all the processes in our body working together, to create the energy) that keeps us alive, healthy and kicking. Every single one of our cells (7 – 70 trillion of them!) needs to produce sufficient energy to fuel not only itself, but the organ it belongs to and ALL our bodily processes – and that includes our mind. The strength (or otherwise) of our metabolism dictates our levels of ‘femmergy’ and therefore determines our vitality, overall health and even how quickly we age. Our metabolism’s hero is our THYROID GLAND which works to regulate our metabolism through the action of THYROID HORMONE, which reaches and acts upon every cell in the body. It’s co-star is a strong and healthy DIGESTIVE SYSTEM – all the nutrients in our food need to be quickly absorbed if they are to fuel our metabolism properly. If these two co-stars don’t work synergistically, we struggle & struggle and slowly, we break! cooking REAL ‘whole’ foods from scratch. Because no ‘one-size-fits-all’, my approach is eclectic: through research, experimentation and patience (and a few mistakes!) I have found a ‘prescription’ that works for me, and that is the only way any good practitioner can work with his or her clients too. Your prescription may differ, because YOU are different. That said, the common denominator in any sound dietary approach to long-term healing is patience, experimentation (and this might sound counter-intuitive) and with some exceptions avoiding exclusions as far as possible. Wherever we are in the world, Mother Nature has provided a wide variety of seasonal, nutrient-dense foods, many of which have been demonised and are now are shunned. But our grannies knew best and their ‘traditional’ foods, farmed, grown in healthy, unsprayed soils and prepared in time-honoured ways, are elements of the healing prescription that is food-as-medicine. The term ‘eating like our ancestors did’ may be getting a little clichéd, but in fact that’s exactly what works! The trick is to be patient and to allow time for the gut and digestive system to heal properly, so that we can gradually re-introduce many of the foods we think (or have been told) we must avoid. I’d take my younger self gently by the hand and this is what I’d say to her…. 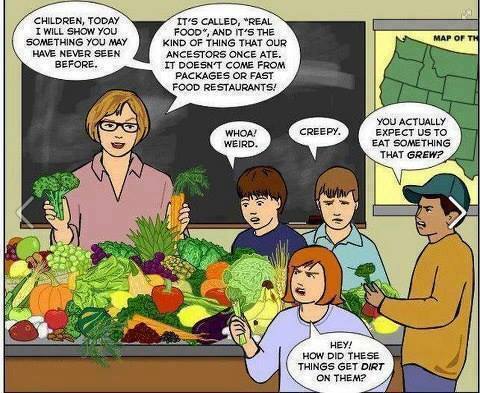 ♥ CARE about where your food comes from & eat whole, seasonal foods that are grown and raised in healthy soils and buy them as locally as possible. Your flesh and bones depend entirely on the quality of what you eat – and if you are what you eat, then you are also what you eat, eats! ♥ CHOOSE organic or unsprayed, non-GMO foods where you can – research shows that these are more nutritious and it simply is nonsense that chemical growing cocktails are a) harmless and b) can just be washed off by soaking in vinegar water or bicarb! No matter what little room you have, grow something of your own, even if it’s just a few home grown herbs – they’re powerfully healing and packed with nutrients. Make friends with veggie-growing neighbours, allotment keepers, small-holders and trusted local farmers and your body with thank you! ♥ AVOID all processed foods & reduce restaurant foods – MOST of the time. These are ‘food-like’ substances, manufactured from ‘ingredients’ which don’t exist in nature and are adulterated with chemical additives, flavourings, emulsifiers and processing aids that are not on the label. Avoid anything in a box, carton or package that proclaims to be NATURAL because you can be sure it’s not! ♥ COOK at home, from scratch – if you want to know what’s IN your food, you need to care where it comes from and cook it yourself. This may be hard at first, but the healthiest foods are often slow-cooked and slow cooking is the new fast-food. Learn how to use your oven timer, or invest in a slow cooker – chuck everything into one pot and come back to… your future health! ♥ DON’T CUT OUT or down on major food groups (easily digestible proteins, healthy fats, quality carbs) eat them daily – but find a balance that works for you. Experiment and be patient in finding the right balance. No matter what you hear, please don’t EVER shun a major food group; you may in the short-term feel better, but in the long-term a nutrient-deficient diet will lack vital nutrients, will put your body under stress and you will NOT be able to sustain healing and health. You need all the nutrients Mother Nature has provided, to build your body (proteins), give you energy (carbohydrates) and put sustenance and flavour (fats) into your food. ♥ KNOW THAT if you ever develop an autoimmune condition and are following a vegetarian diet please do your research very carefully to make sure that you’re getting sufficient of the right nutrients for healing your digestive tract and supporting your metabolism. ♥ KNOW THAT if you ever want to follow a vegan diet you’ll need to think long and hard about whether you can sustain your health in the long-term. Nature has provided plants for healing and animal foods for building the substrate of your body; while a 100% plant and fruit based diet (juicing and the like) is a powerful way of clearing your body of accumulated rubbish, you’ll need much more to heal and to re-build. ♥ EAT ANIMAL PRODUCTS (meat, dairy, cheese, eggs) which are pasture-/grass-fed & finished and avoid those raised conventionally and fed on grains. Grass-fed and finished products provide you with a far superior nutritional profile in important respects. This is not the time to talk to you about food ethics, but animals raised and cared for in sustainable, high welfare environments are not only healthier and happier, but support soil and environmental regeneration, which in the long-run supports all life on this planet – including yours. ♥ EAT LESS OF DIFFICULT-TO-DIGEST muscle meats like steak, chicken and turkey breast. While these may seem healthy (and quick) they lack the full compliment of important anti-inflammatory amino acids and so put your digestive system under stress. ♥ EAT MORE OF EASILY DIGESTIBLE, high quality protein, like milk, eggs, cheese and slow cooked meats on the bone. Drink certified raw milk for its huge health benefits. ♥ THROW AWAY ALL polyunsaturated (PUFA) cooking & vegetable oils except olive and coconut oil. 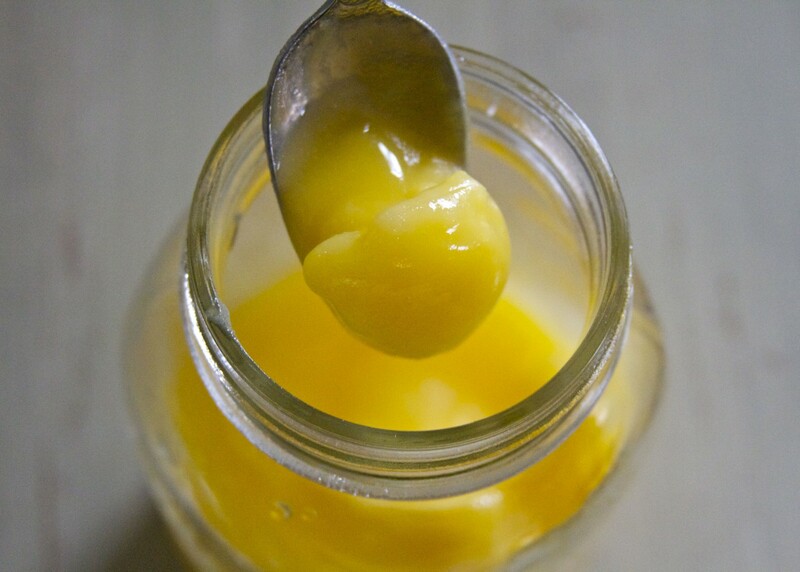 ♥ DON’T AVOID saturated animal fats – like butter, ghee, beef tallow and lard – from pasture-raised animals – use them judiciously. 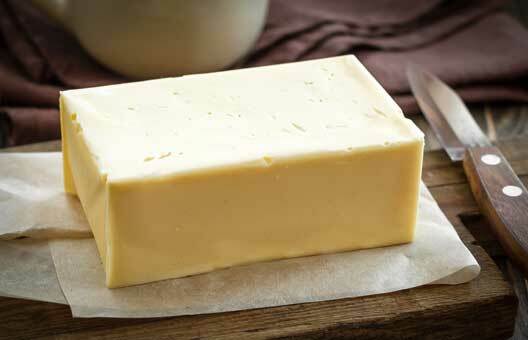 Raw butter contains the ‘Wultzen’ anti-stiffness factor and protects against calcification of the joints (degenerative arthritis), hardening of the arteries, cataracts & calcification of the pineal gland. You’ll find it helps your joints. ♥ MAKE bone broth and use it daily to heal and seal your gut and support your joint and your connective tissue healing OR supplement daily with collagen hydrolysate, or with un-denatured type II collagen. This. Is. CRUCIAL! ♥ EAT PROBIOTIC-RICH foods daily, in small amounts – fermented vegetables and/or a couple of shots of kefir to support the health and balance of your digestive and immune system. ♥ USE HEALING SPICES daily, incorporate organic turmeric/curcumin (for it’s anti-inflammatory & anti-oxidant benefits) and ginger (for its digestive & anti-inflammatory properties) into your diet. ♥ EAT LIVER every week, it’s a ‘superfood’ for your thyroid and one of the most nutrient-dense foods on the planet. ♥ EAT WILD CAUGHT FISH & white (not farmed) fish, sardines and shellfish regularly. White fish is a rich source of iodine (it contains more than oily fish) and you need it to support thyroid function. ♥ EAT PLENTY OF RIPE FRUIT in its season of origin – don’t be afraid of it, ripe fruit is more nutritious – and drink freshly squeezed or high quality fruit juices – they provide easily digestible energy from natural sugars to help improve thyroid function and maintain metabolism. But don’t leave out the berries though – they deliver less energy to your cells but they’re high in antioxidants; you need both! ♥ EAT WELL-COOKED VEGETABLES. Well-cooked roots and tubers and well-cooked greens make it easy on your body to digest and absorb the nutrients and use them for energy. Remember, your digestive system wasn’t designed to break down tough cellulose fibres (‘cos you’re not a ruminant!) so ditch the raw green smoothies – they’re cellulose dense and you’ll struggle to absorb the nutrients, even with a strong digestion. 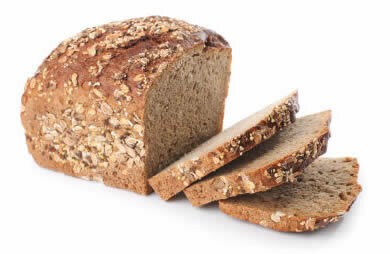 ♥ CUT OUT GLUTEN GRAINS (wheat, barley & rye) and stop eating commercial, mass-produced breads of ALL kinds – even the so-called ‘healthy’ ones! The problems with gluten are not myths and non-organic commercial bread is made of a vile concoction of glyphosate-drenched grains combined with bucket-full of industrial processing chemicals. Authentic, organic long-fermented sourdough is your healthiest option, but if you develop an autoimmune disease, still think carefully: the lectins and other anti-nutrients in modern wheat usher in a host of health issues. ♥ DON’T FEAR SALT – use it judiciously and salt your food to taste with Maldon, Cornish sea, Celtic or Himalayan salt. But don’t use industrial table/cooking salt. Your body needs salt – for hydration, mineral balance and there is sound evidence that low salt intake is associated with higher mortality from cardiovascular events, making stroke, heart attack and even death more likely. Processed foods are stuffed with industrial salt (and sugar) to improve shelf-life and create otherwise absent flavour and this is why salt has bad press. What you use in your kitchen will NOT hurt your health, and may even improve it! ♥ HYDRATE, but don’t over-hydrate – let thirst be your guide. Drinking gallons of water isn’t necessarily healthy; it can cause ‘water-intoxification’ depleting your blood sodium levels and make your cells – and metabolism – work less efficiently. And remember that all liquids will hydrate your body, not just water. ♥ DON’T DRINK TAP WATER if it’s chlorinated or fluoridated – fluoride, in particular, is a toxic chemical waste from the fertilizer industry and an endocrine disruptor – read the health warnings on your tube of toothpaste! 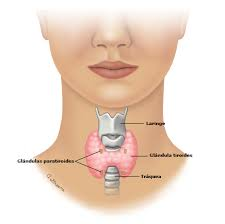 It sits in your thyroid hormone receptor sites preventing thyroid function, as does chlorine. Dental fluorosis, a manifestation of systemic toxicity will become a widespread disease amongst young children who live in fluoridated areas. Get a good quality water filter that will remove fluoride and chlorine and consider bath and shower filters – remember that your skin will absorb around 80% of of what you put on it within a few seconds. ♥ SORT YOU LIFE OUT NOW! Don’t wait another day! 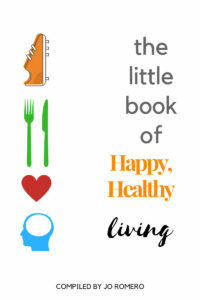 Start creating daily habits that you enjoy and that enhance your health and happiness. And JUST. DITCH. THOSE. THAT. DON’T! Yep… my ‘younger self’ would have run a MILE! It all seems so overwhelming, right?! 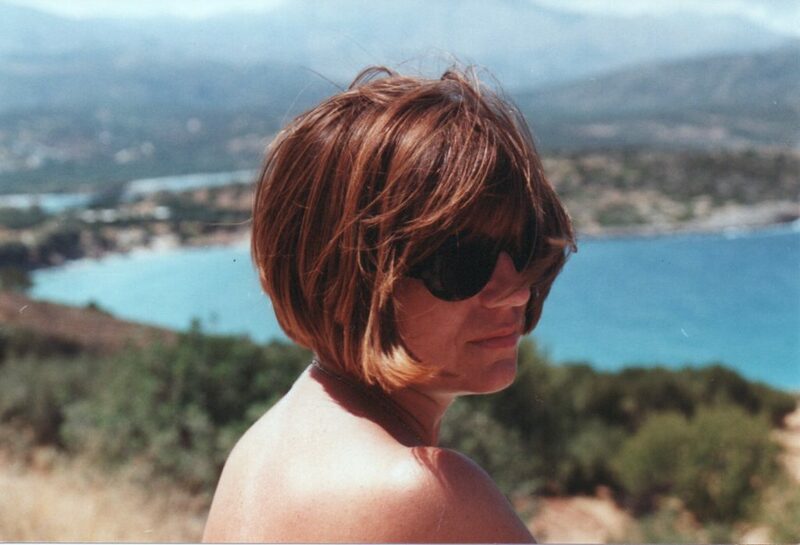 It would have been a sea change back then and sure enough, it was a sea change I was facing a few years ago. But it was a change for getting my life back and making the rest of my life the BEST of my life! But my older self has learned that the physician IS within us all – healing our body is in OUR hands. There are NO magic pills, potions or procedures that will truly heal ‘dis-ease’ with a disordered diet and lifestyle. And she’s learned that it is NEVER, EVER, TOO LATE to start healing! So, step by step, I started to ditch PUFAs/cooking oils, banish gluten, eat saturated fats, drink raw milk and kefir, make bone broth and fermented veg and buy organic, grass-fed meat and eggs. As I progressed, the wobbly baby steps broke out into a run for more energy, vitality and better health. I have a more to share in my new book! The advice I’d have given my younger self isn’t just based on a few trial-and-error self-experiments; it’s the result of years of research, study and working on myself and with others who are struggling with health issues. And winning! You see, I care that so many of us are struggling to enjoy the energy, vitality and health that is our birth right. And I care that the food we’re eating isn’t the nutrient-rich, delicious food that supported the health of our grandparents and their ancestors – and should be supporting us. What I’ve shared this post is only the TIP of the iceberg in a proper understanding of the power of ‘traditional’ foods like those our grandparents (and theirs) enjoyed. In fact, there is SO much to share with you, that it would take a whole book to tell the story. My new book ‘Once Upon a Cook – Food Wisdom, Better Living’ is especially for YOU. It’s a book that will inspire you to want to learn more and it will change your life. It will equip you to ask questions, to make demands for better and take you back to the future of food. And it will help you to get your just rewards – a healthier, more energetic and better life. Once Upon a Cook – Food Wisdom, Better Living is due for publication January 2018. In it you’ll find traditional food wisdom, supported by good science; you’ll learn about forgotten culinary skills; and you’ll discover delicious, nutritious recipes for better energy, vitality and health and everything you’ll read is well-researched and supported by a plethora of references, linked via my website to reliable information curated from across the internet. But I want you to start your journey back to the future NOW.. IN THE NEXT, FINAL POST I’ll tell you about the lifestyle changes that are helping me in beating arthritis. Changes like restoring restful sleep; reducing stress; taking regular breaks in nature to move my body; and fostering inner and outer connectedness. And believe me, I’m loving it and wishing I’d known then, what I know now! 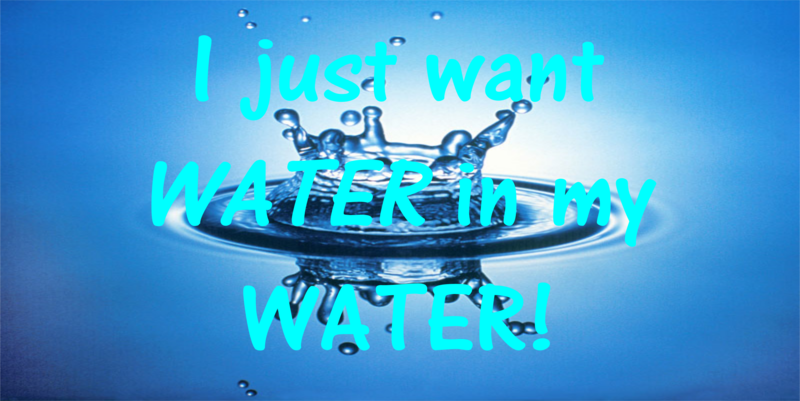 I just want water in my water! NOT fluoride! Great post, Izabella! I healed psoriasis through diet and lifestyle and although I have one patch that is refusing to budge completely (although it’s much improved), if you saw who I was 3 years ago, I was a completely different (and much more itchy) person. My hairdresser remarked yesterday at how my psoriasis is improving, and I told her I’d done it naturally. It used to cover my whole body, in patches everywhere, but now my body is all clear and it hasn’t come back. Food is such a powerful medicine. I have friends who have succeeded with putting arthritis into remission, too. I have such a huge respect for food and lifestyle changes that I never had when I was younger and when I would eat a pot of ice cream and 6 chocolate bars a day! Like you, my younger self would have definitely run a mile! Great post, loved it. Thanks Jo – I genuinely appreciate you comments. It’s so, SO important for people to understand and accept that food IS powerful; it can be our best medicine – or it can lead to ruined health. Of course, food is not the only powerful medicine in helping to heal from autoimmune and other chronic diseases (I’ll share what helped me in the final post in this series) but it is the quickest win and very motivates you to make better lifestyle choices and changes. The more of us (like the UK Health Bloggers community) who are able to share our experiences, supported by good research (to head off the ‘anecdote’ dismissals! ), the quicker this will happen and more people will not only take back their health – but will DEMAND a return to whole, clean, unadulterated, (aka) REAL food! I know my younger self would run a mile from how I now et, but I too am using food as medicine. Thank you for sharing your approach. Do you have a whole house system water filter do you recommend in the UK? You’re welcome… yep, ‘older and wiser’ is so true, isn’t it! As it happens, a whole house filter system is being fitted even as I type! We are in a heavily fluoridate area, so have been using a variety of filters. When I discovered the full impact of fluoride, chlorine and bromine on thyroid function (interfering with iodine uptake and thyroid production), I decided I had to bite the £bullet and invest in a whole house system. This is the one I chose: Osmio PRO-111 Whole House Water Filtration System. This particular one can’t be fitted under the sink, but it’s ‘younger sister’ can and she can even follow you if you move! Hope this helps! Great I’ll look into this one. Thank you so much! This is a fantastic post, of a similar high quality to part one. Food truly is medicine and seeking an advisor such as yourself to find out what is medicinal for you as an individual is key, as sometimes it can be complicated and difficult to navigate! Thank you Darryl – your comments are valued and truly appreciated. We hear the no ‘one-size fits all’ mantra repeated frequently but the complexity is rarely understood (does anyone – really?). The devil IS in the detail and no-one can know your body as well as you do. Healing is a partnership between informed and patient partners: you and your advisor(s) need all to be on the same page of food-and-lifestyle as our first and BEST medicine! Izabella I absolutely loved this post! You have such an amazing writing style I love it! And each time I read your posts I learn so much. So great that you’re writing a book – exciting times! Arrrgh! Thanks so much for your support and encouragement Mark – I really appreciate it ☺️ Let’s all make sure that the message that food IS medicine keeps getting out there! I wish that I knew all of this when I was younger. I guess it took watching my mum pass away from cancer to finally realise that the responsibility lies with me and not with the doctors. I was always under the impression that modern medicine is able to fix anything, all I need a was a pill and it would be fine. I was too trusting, believing that the food manufactures would never put harmful things in our food and that if it had a picture of a hills and mountains then it HAD to be natural. It took me 40 years to work out that the only thing I can trust regarding my food and my health is my own home cooking. Thank goodness for people like you Izabella, who are able to help those who have placed trust in so many wrong avenues. Thanks for your encouragement Donna. And you are so right- it really has got to the point (and even my OH actually ‘gets’ this) that the only way we know what’s in our food is to cook whole foods, from scratch… and even then there’s ‘detective’ work to be done in sourcing the ingredients! I frequently give talks to a range of groups with a wide demography and I’m always so saddened to find how many people honestly assume that if a food product is on sale in a store, it MUST be safe and if it wasn’t, then surely ‘the Government’ wouldn’t allow it to be there. Even more distressing is to witness the number of people who rely on the popular media for their health (mis)information and haven’t a clue how to make informed food choices. Next story Spring Foods Make Those Gut Critters Happy!